With its eyes firmly on the 2019 general elections, the Narendra Modi government will finally undertake the much awaited reshuffle of the council of ministers on Sunday. Several new ministers are likely to be inducted. Both Prime Minister Narendra Modi and BJP chief Amit Shah are known for keeping their cards close to their chest. It to be seen whether the exercise would be guided by the intent to revamp the much criticised performance of the government or more by BJP’s 2019 blueprint of winning 350 plus seats in the general elections. The performance of several key ministries the like Railways, Agriculture and Skill Development has constantly attracted criticism from the Opposition. With only 18 more months left to deliver, Modi would look to address the issue in his last Cabinet reshuffle before the 2019 polls. The BJP may also look for restructuring within the party. It may trim the number of vice-presidents and national general secretaries. Currently it has as many as seven vice-presidents and eight national general secretaries, some of whom are hardly involved in party affairs. Some of the leaders who may get new responsibilities include Bhupender Yadav, Vinay Sahasrabuddhe, Satyapal Singh and Om Mathur. Speculations of a rejig have been doing the rounds ever since Manohar Parrikar left the Defence Ministry and took oath as the Goa Chief Minister in March. The death of environment minister Anil Dave in May and M Venkaiah Naidu’s elevation as India’s Vice-President in August further necessitated a reshuffle. But the ball was set rolling only on Thursday after the appointment of Union minister Mahendra Nath Pandey as Uttar Pradesh BJP president. Subsequently, several Union ministers such as Skill Development minister Rajiv Pratap Rudy and Water Resources minister Uma Bharti quit or offered to quit indicating a reshuffle was imminent. The other ministers to have put down their papers are Minister of State of Water Resources Sanjeev Balyan, Labour Minister Bandaru Dattatreya, Minister of State for Health and Family Welfare Faggan Singh Kulaste, Small and Medium Enterprises Minister Kalraj Mishra and Pandey who was the Minister of State for Human Resource Development. Interestingly, four of the ministers who quit -- Mishra, Bharti, Pandey and Balyan -- all come from Uttar Pradesh. Pandey took over as BJP’s UP unit chief replacing Keshav Prasad Maurya, the party’s OBC face in the state who has now been elevated as the deputy chief minister. Pandey’s appointment is seen as BJP’s attempt to strengthen its base among the Brahmins, a key BJP vote bank who account for 10 per cent of the state’s population. Also four Union ministers are holding additional portfolios. While Finance Minister Arun Jaitley has been handling the defence ministry, Union Science and Technology Minister Harsh Vardhan holds additional charge of the Environment Ministry. Naidu’s portfolios - Information and Broadcasting and Urban Development have gone to Textiles Minister Smriti Irani and Rural Development Minister Narendra Singh Tomar respectively. Besides the ministries, vacancies have also emerged in several Raj Bhavans. While Jammu and Kashmir governor NN Vohra is likely to resign soon, as many six governors are holding additional charges of other states. West Bengal Governor KN Tripathi is in charge of Bihar after Ram Nath Kovind became the President. Similarly, Maharashtra Governor C Vidyasagar Rao is functioning as acting Governor of Tamil Nadu, and the Nagaland Governor Padmanabha Acharya has additional charge of Arunachal Pradesh. Assam Governor Banwarilal Purohit has the additional charge of Meghalaya. Gujarat Governor Om Prakash Kohli has additional charge of Madhya Pradesh. Andhra Pradesh Governor ESL Narasimhan has additional charge of Telangana. A UPA appointee, his second term as the governor ended in May but has been asked to continue. Speculations are rife that Kalraj Mishra and former Gujarat chief minister Anandiben Patel are being tipped for gubernatorial appointments. Besides “Mission 2019”, the poll-bound states of Gujarat, Himachal Pradesh and the Congress ruled Karnataka would also be on Modi’s mind and he is likely to induct faces from these states. With a Dalit president in Kovind and with Naidu a South Indian as the vice-president, the Modi-Shah duo may look for some “symbolic appointments” to enhance its reach among the Dalits and in South India. The BJP has been hard-selling the elevation of Kovind and Naidu in its bid to shed the image of being a party dominated by North Indian upper castes. With Nitish Kumar’s JD(U) back in the NDA fold, the party is likely to get at least one if not two berths in the Cabinet. Speculations are rife that Railway Minister Suresh Prabhu who has been under pressure following a spate of train accidents could be replaced by Road Transport minister Nitin Gadkari or JD(U)’s RCP Singh. Prabhu may get the environment ministry. Meanwhile, the Congress says that the reshuffle will make "zero difference" as Modi believes in total concentration of power. "I don't see much talent in the Modi government. 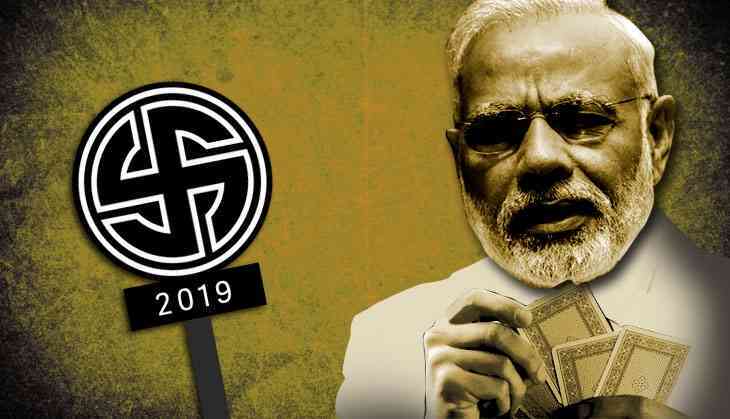 He may appoint anyone and remove anyone and change any portfolios -- but it will make zero difference because the Prime Minister believes in complete concentration of power," said Congress leader and former Union minister Anand Sharma.